We love to search creative ideas online. The typical day at Design-Peak consists of the constant search for brand new, refreshing ideas for crafty people and deliver those ideas to them. Today we are eager to show you star ideas that we have found online. 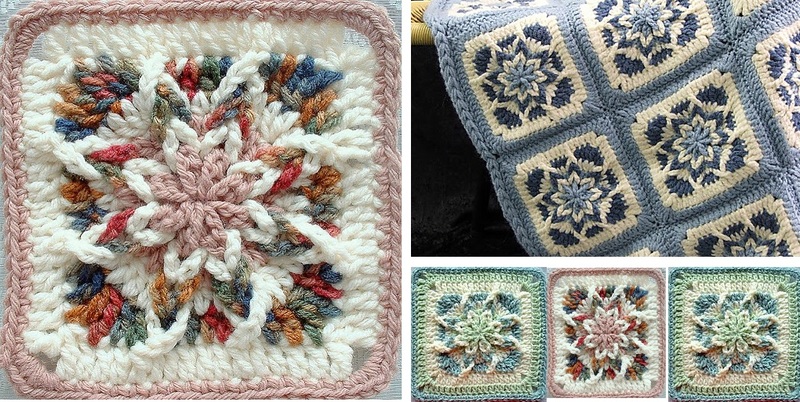 Square crocheting is a beautiful art to master. Some may ask that the squares are all the same and there is little to no room for creative maneuvering. However we will prove them wrong. There are endless possibilities that square crocheting gives us, also by being the very step necessary to create blankets and afghan projects. Star square is and star square blanket are clear examples of this notion.